Boulevard 18 is scheduled to open during the latter half of January 2012 on Main Street in New Canaan. 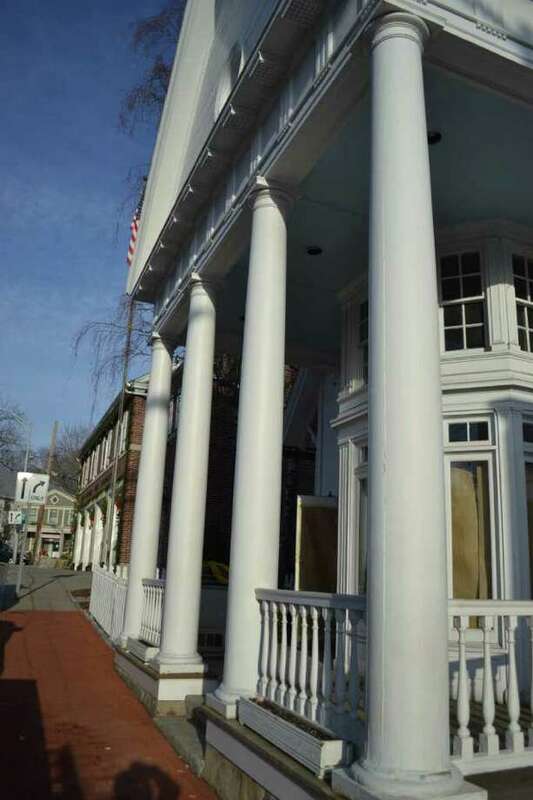 Boulevard 18 is scheduled to open during the latter half of January 2012 on Main Street in New Canaan. The restaurant will offer a French Bistro / Gastro-pub experience from the decor, to the beer and wine selections, to the traditional fare offered in Parisian bistros. The second venture by the team of Chef David Raymer, Steven Semaya, Luciano Ramirez and Henry Rosenbaum, Boulevard 18 will maintain the same philosophy as its sister Italian cafe restaurant, Strada 18 in SoNo, of quality food at quality prices. Chef Raymer described Boulevard 18 as "going back to my roots." After leaving college to form a rock band in NYC, Chef Raymer supported his life as a musician by gaining experience and working his way up the ladder in the kitchens of several of New York's glamour restaurants, including Joanna's Restaurant and Gotham Bar and Grill. During this journey he honed his culinary talents and relocated to Connecticut as the opening chef at Tavern on Main in Westport. He finally joined with his partners and, in 2006, opened the very successful restaurant Strada 18. Still, he longed to recreate the Bistro menus from his days at Joanna's Restaurant and Gotham Bar and Grill. Earlier this year, the four partners started their search for a site to house their second venture, and they believed New Canaan was a great choice; the resident's appreciation of great food and its proximity to Bedford and North Stamford would draw additional customers. When the Main Street location formerly occupied by Aloi Restaurant became available they fell in love with the space and they seized the opportunity. The interior is currently under a redesign and renovation project to create a bistro, gastro-pub feel. The front of the restaurant will feature a beautiful, newly built bar; complete with a zinc top and an intricately carved edge. The front bay window will contain a high table for eight customers while another six customers will dine at a second high zinc and marble-topped table anchored along the left wall. Customers seated in the bar area can choose from several small plated selections or order from the regular lunch or dinner menus. The rear main dining room will seat an additional forty diners and a noise reduction project is in process to create a pleasant dining experience where customers can enjoy both food and conversation. The porch and charming fenced-in patio will be open during the warmer weather. The opening menu will feature traditional bistro fare such as onion soup and potato leek soup, house-cured charcuterie, duck confit and salad nicoise, plus chicken paillard, steak frites, as well as focus on fresh fish selections, including a potato wrapped Sea Bass with a Bordelaise Sauce, a popular offering from Chef Raymer's overseeing the kitchen at Tavern on Main. I smiled when Chef Raymer told me that Boulevard 18 would also include three varieties of hamburgers with house prepared toppings. Likewise the team wanted to address what they felt was a void for certain dishes in New Canaan and the menu will include a plateaux de druits de mer, foie gras and traditional steak and tuna tartares. The wine and beer selections are under the guiding eyes of Semaya and Rosenbaum, who currently oversee the Strada 18 menu of more than 400 labels. Their philosophy of offering wines at various price levels will continue at Boulevard 18. At least half of the wines, primarily French vintages, will be priced at $55 or less, and 20-25 wines will be offered by the glass. "I want the customers drinking the $40 bottle of wine to feel they received great value and I want the customers who order the $100 bottle of wine to feel they received great value," Semaya said. The opening will include 100 labels and they will slowly increase the wine cellar to include 200 varieties. Likewise the beer selections will include 15-20 different choices. As a fan of French Bistro fare, I am extremely excited about this addition to the New Canaan restaurant scene and look forward to enjoying many of Chef Raymer's creations. Stay tuned to CTBites as some very special stories develop with Chef Raymer and Boulevard 18.